Episode #35: The Shared Desk — RECORDED LIVE AT BALTICON 48!!! ….and Crazy Uncle charlie has a few surprises in store for them! 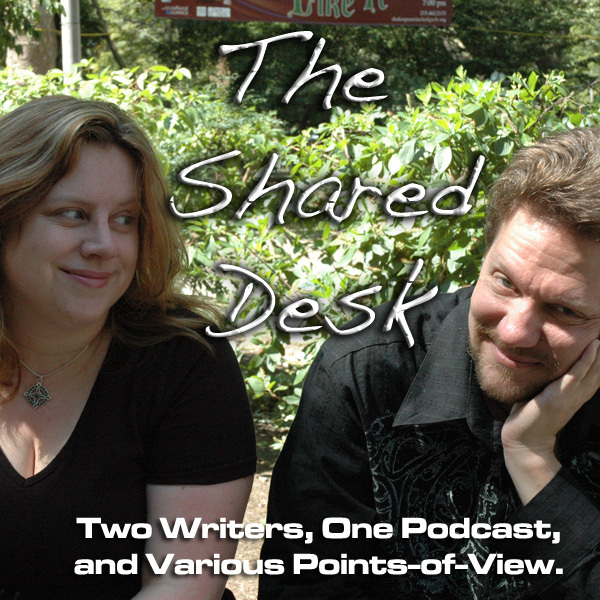 It’s a wild ride with the Parsec-nominated podcast, The Shared Desk, at Balticon 48. Shutting it down like a boss! We’re keeping this episode on a tight(ish) schedule because we got stuff to sell! Pip was enjoying many an “I love you, man!” moments last night with the grown-up Gummi Bears. Sonic Boom in the House!!!! P.C. Haring…put back in his box by Nick (MOTHER F-ING) Fury. Leading into a quick shout-out to our Intern of Awesome, K.T. Bryski. People were really excited for the Ministry, and yet Pip and I still feel like were the rookies of steampunk. When J.R. Blackwell and Jared Axelrod pull you aside to have a heart-to-heart, you know it’s about to get serious. The thoughts of Jared and J.R. and Jon Stallard of the 501st: It’s not the same. Can we go back there? 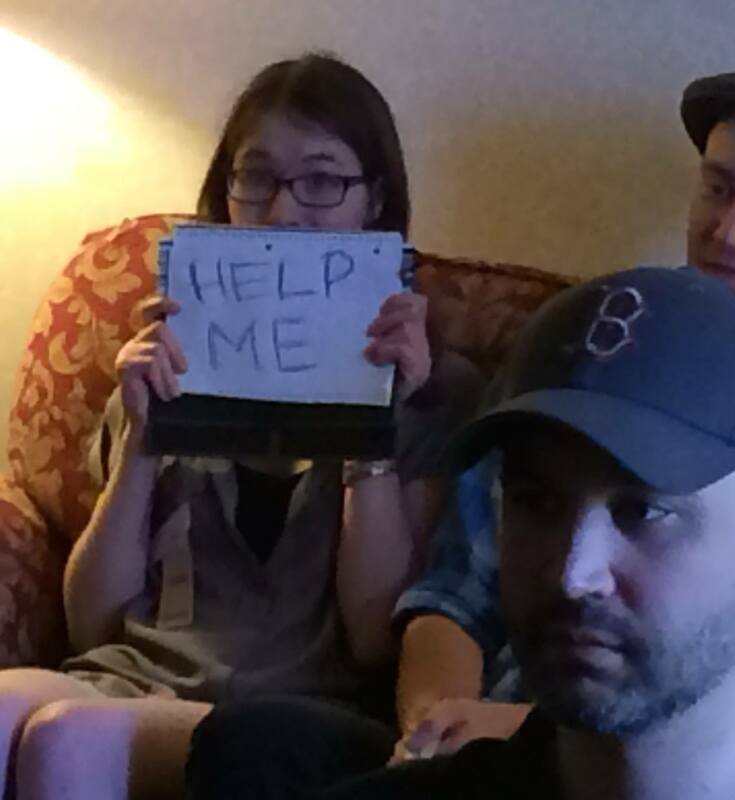 In the middle of Balticon, Pip wanted to tell friends how it is…and that’s a good thing. Pip even said something sweet and endearing to her husband. Kind of. Tee looks back on his first Balticon as P.C. Haring brings Cybrosis in print to the event. Our kid can do math! Huzzah! From Rockstar Treatment…to the Real World. The dangers of losing perspective. Remember — there’s always someone in the playground bigger (and in some cases, meaner) than you. Tee’s winding up and going on mic with his “I love you, man!” moment. OMG! We have to mention TEH KITTEHS of New Zealand!!! When it comes to friends, we are in the 1% tier. What else is going on with us? Tee gives a quick shout-out for a steampunk Y.A. film The Adventurer: The Curse of the Midas Box, the best-kept secret of steampunk films. Yes, we have enjoyed success, but we’re ready to level up. Shout-out for Hiddlebooks and Jenna Louise-Coleman with Brian Cox and Nathan Fillion on deck…. Sonic Boom is not fooled. Question #1: Writer has a short story, popular with his peer readers, but he’s having a tough time selling it. What should he do? Hold on….is Charlie making sense? And then, we come back to the Charlie we know and love. Question #2: Writer wants to know the sweet spot between “creative inebriation” and “rat-faced hammered” for consuming alcohol. Charlie reveals the line between inebriation and genius. It is cotton balls. Writing drunk is like drunk tweeting. Think before you plot. Question #3: Writer wants to skip the laborious process f writing and editing and just get to sharing the story. How do you develop the discipline? Find your routine and stick with it. Question #4: Why do first-time writers balk at the end of projects? Is it a fear of failure? how do we get past that stumbling block? That fear never goes away. Every new title is a challenge, a new place for the bar to be set. Let the fear fuel you. Charlie blanks out for a moment, then pulls it together for a giveaway. …hold on — what’s this third prize pack Charlie is giving away?! Now — let’s sell some books!